Cross-selling can be a complex and frustrating process, littered with organizational and interpersonal obstacles. 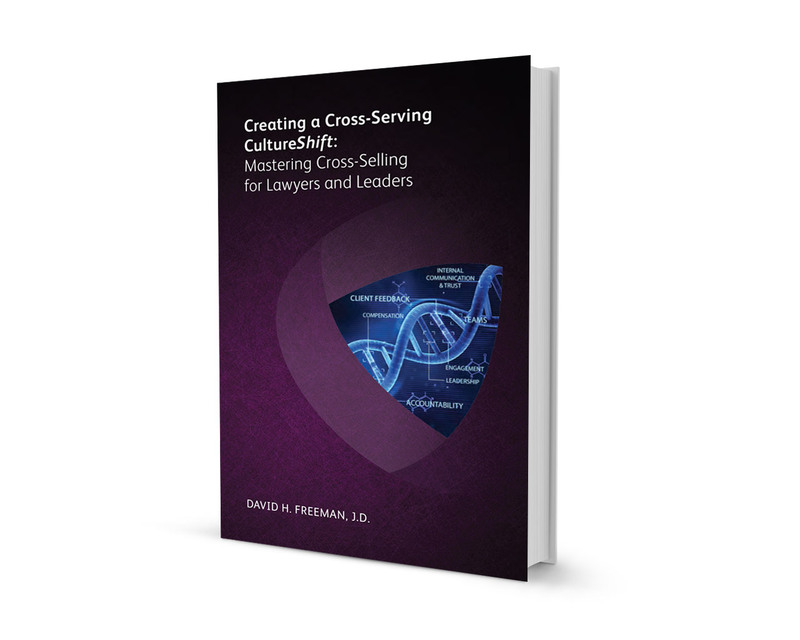 This all-time best-selling book is designed to shine a light on issues you may face individually or as a firm leader, and provides scores of practical tips to help you become a true master of cross-selling. This practical checklist of culture-shifting activities will show leaders at all levels how to become powerful drivers of change. The ebook is divided into 43 key success areas and contains hundreds of approaches that can result in a higher performing culture of business development and client service. It also includes links to supportive articles, resources, videos and worksheets. This inspirational handbook, another all-time best-selling book published by the Ark Group, is packed with hundreds of proven tools, tips, and techniques for increasing revenue and forging relationships with clients and colleagues that will last you a lifetime. Copyright © 2014 David Freeman Consulting Group LLC. All rights reserved.